We are an authorized service center for Genuine Scooters. We also service Vespa, Piaggio, Honda, Yamaha, and other similar quality scooters. Due to our workload and liability concerns we do not service vintage scooters restored in Asia or other Chinese-brand scooters. 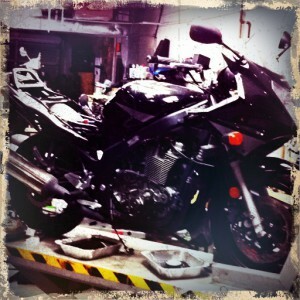 We currently do not service motorcycles. We can perform standard and warranty service on Genuine scooters. Additionally we can perform minor service work, oil changes, and tune-ups. During the off-season we can perform partial and full restorations. We work closely with insurance companies to rejuvenate scooters and motorcycles that are suffering due to a theft, theft attempt, vandalism or an accident. Our shop rate is billed at $95.5 per hour. Some jobs are billed flat-rate, while others are billed based on actual time spent on the job. Estimates can be provided upon request. Estimates for insurance claims are billed at a minimum of one hour. Some estimates may be charged up to two hours. Storage fees begin three days after work is completed. The rate is $25 per day. Bikes that are in for insurance estimates are charged $25 per day storage. For those cases, the storage fee starts when the estimate is complete. We offer a wide variety of services at Modern Classics including bike storage, pre-purchase inspection, and consignment. We offer extended storage options on a first-come, first-served basis. The basic fee is $75 per month and includes: battery maintenance via a Battery Tender, fuel stabilizer, and a climate-controlled spot for your bike to escape from the elements. This service is offered 12 months a year. 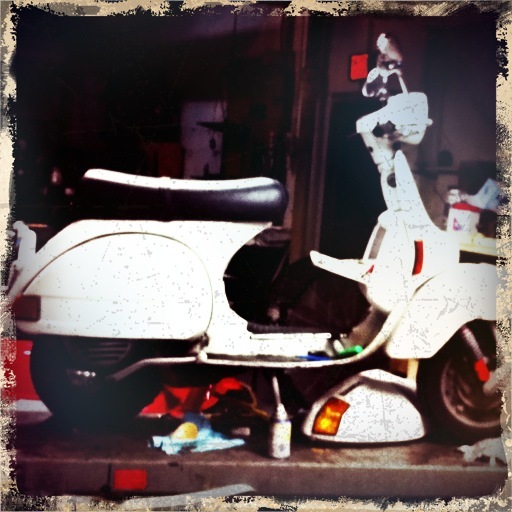 Modern Classics can evaluate your scooter or motorcycle before (or indeed after) a purchase to assess its general safety and state or repair. The normal charge for this service is equivalent to one hour of labor. Modern Classics offers a consignment service where we sell pre-owned scooters and motorcycles on commission. If you are interested in selling your scooter or motorcycle on consignment please contact us.